At Nassagaweya, we put a high priority on developing and growing deeper in community. No matter how long some of us have been at Nassagaweya, we were all new once. That’s why we want to make it as easy as possible for you to come out and get involved to whatever degree you’re comfortable. There are a variety of groups, activities and events that you can get involved with. Sunday School – Every Sunday morning during the worship service, children aged 0-13 have the option of participating in Sunday School. Using stories, games, crafts and other fun activities, this program provides an engaging and age-appropriate environment for children to connect with Jesus and experience the love of God. Children from birth-13 are invited to join in with Sunday School after a special children’s time during the worship service. Camp Nassagaweya – A PA Day Program for kids ages 4-13. This full-day program on PA Days of the Halton District School Board. Kids meet for a day of stories, games, singing, crafts and other activities. A great opportunity to meet other kids in the community and learn about our faith. Vacation Bible Camp (VBC) – join in the fun of VBC each summer, offered one week in July from 9 am – noon. Games, Bible stories, crafts, singing and dancing! Women’s Association – A group for women of all ages meeting at the church on the third Wednesday of every month (except July, August, and December) for Bible study, worship, and fellowship. Quilting – Are you a quilter? Would you like to learn? 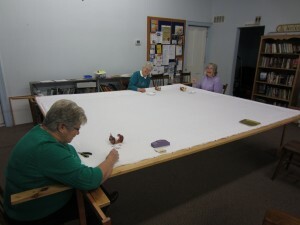 Then join our quilting group. We meet at the church on a drop-in basis every Wednesday between 9:00 am and 4:30 pm, with a coffee break at 9:30 am and lunch at noon (bring a bag lunch!). Come for an hour or stay all day, whatever you like! the day, and we’d love to have you join us too. Toys are available for little ones, so feel free to bring your kids along! 9:30 am – 10:30 am on Wednesdays. 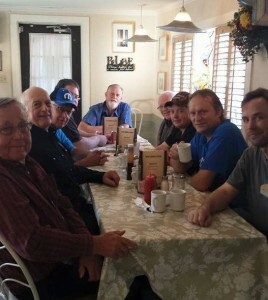 Men’s Breakfast – No agenda, just breakfast, with plenty of conversation and laughs in the process. We usually meet at 8:00 am on the first Saturday of the month (check the event calendar) at the Ice House in Campbellville. Friends-on-the-Hill – A gathering of women for Bible study and fellowship. Community Breakfast – Second Sunday in September. Instead of the regular morning worship service, the whole community is invited to come and have breakfast together. There is live music and activities for the kids. Chicken BBQ – First Saturday of June. A half chicken, baked potato, coleslaw, roll, and homemade pie for $18. Light entertainment also provided. Call (905) 854-1055 or email us for tickets. 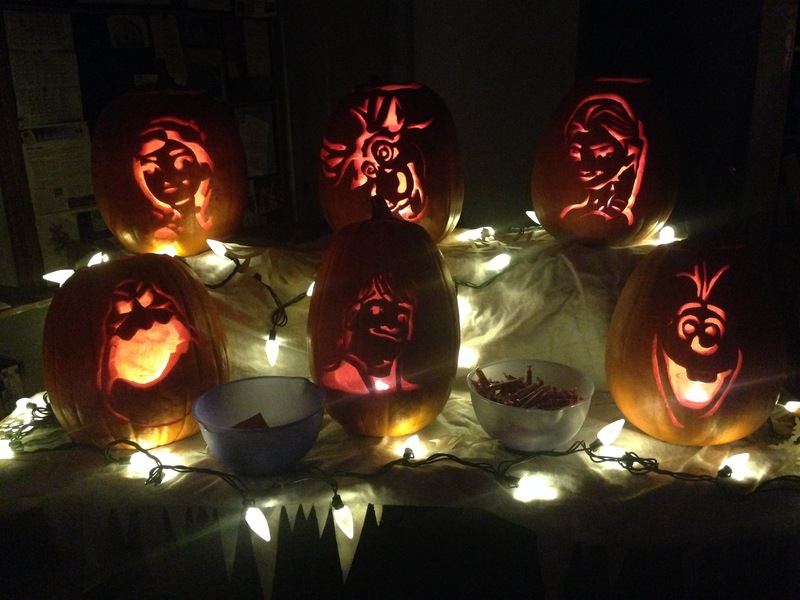 Trunk or Treat – On Halloween from 6:00 to 7:30, the NPC parking lot will be filled with decorated cars and candy. 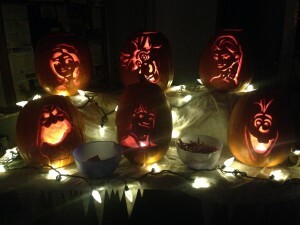 The community is invited to come Trick-or-Treat from trunk to trunk. Bazaar – The first Saturday in November from 11:00 am – 2:00 pm. There are crafts, a silent auction, lunch, baked goods, and the winning ticket in the annual quilt raffle is drawn. Please join us. For more information about any programs, please email Reuben at info@nassagaweya.com.